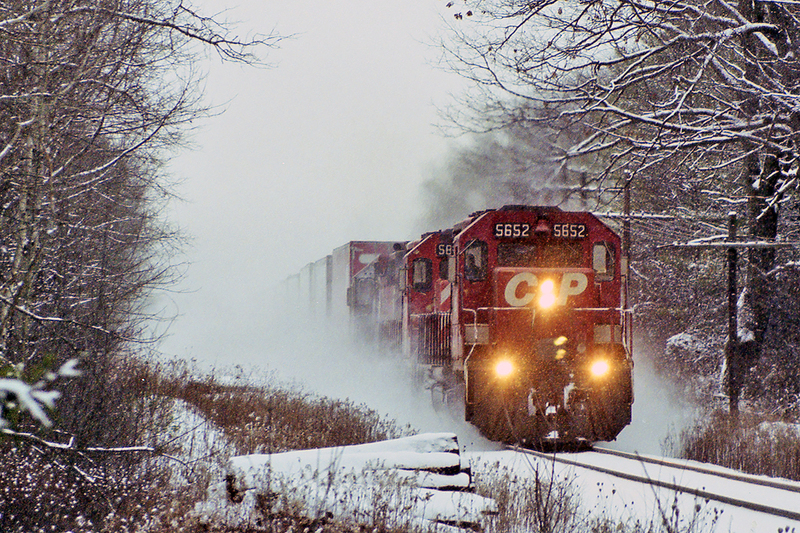 Railpictures.ca - David Brook Photo: It will be cold again………like when 124 stormed east through Killean with the eastbound Expressway. | Railpictures.ca – Canadian Railway Photography – photographie ferroviaire Canadienne. Caption: It will be cold again.........like when 124 stormed east through Killean with the eastbound Expressway.